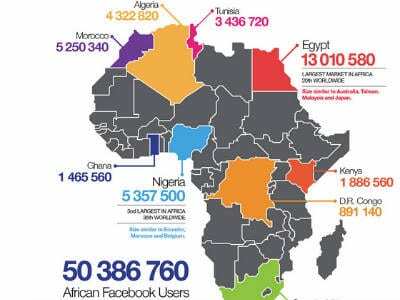 Why education is the most important factor for the growth of social media marketing in Africa. As I write this post I am contemplating the hows and whys my digital marketing agency Nkanee managed to lose a high profile and well paying client recently. Was it the cost? Was it poor communication? It definitely wasn’t our results -as within a month of providing 360 social media services page likes, comments and shares increased by over 100% and the clients Facebook advertising campaigns were optimised from being charged at CPM (cost per 1000 impressions) to CPC (cost per click). It was clear to my team as illustrated from the images below that statistics for august (prior to contract) and September (contract period) were miles apart in our favour. We managed to increase both the organic and paid reach of the page from 9 thousand to 45 thousand. So why do clients fail to see the progress shown above? One important word – Education. Professionals like myself who are formally trained in digital marketing sometimes forget that our jargon and KPI’s are not understood or important to ordinary people. To the average executive the ‘LIKE’ is king, not comments, not engagement and not impressions. ‘Likes’ rule the world of organisations that dive head first into the use of social media without educating staff. With the rapid growth of Facebook in Africa organisations wrongly believe more ‘Likes’ rather than active engagement equals success. With this fixation on increasing page ‘Likes’ over quality content, engagement and organic growth of followers, the statistics provided to the client had little impact. Companies would rather pay to gain followers but have no clue that this affects their edge rank, and that the more companies strictly acquire followers through ads the harder it is to reach them organically. Key to changing this mentality is education, with social media changing everyday it is important that key staff in businesses, government and civil society get up to date training on social media in the same vain as Microsoft windows training was mandatory in the 90’s. Without companies educating clients and without the creation of digital marketing institutions in Africa the growth of social media marketing will be limited. So the next time we have a client not only will we ensure we do a great job, we will ensure the client understands the work we do so we are all on the same page. Here are a few social media key words you should familiarise yourself with before your organisation dives into social media.